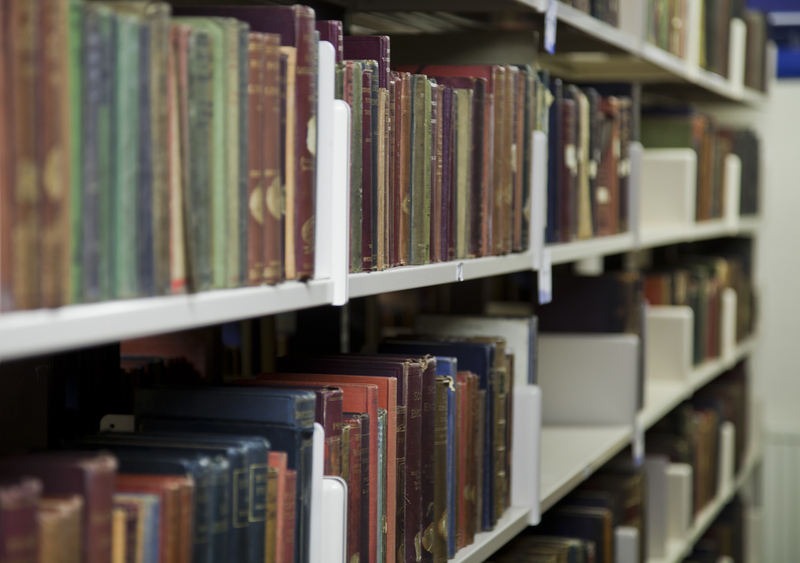 Swansea University has a number of diverse and fascinating Research Collections to aid your studies. At the South Wales Miners' Library, our collections explore the political, social and cultural aspects of industrial South Wales. The South Wales Coalfield Collection (SWCC) is our largest research collection, but we also hold numerous smaller collections donated by academics, politicians, institutions and workers. These provide valuable resources for research across numerous disciplines, including Industrial History, English Literature, Politics, Astronomy and Philosophy. 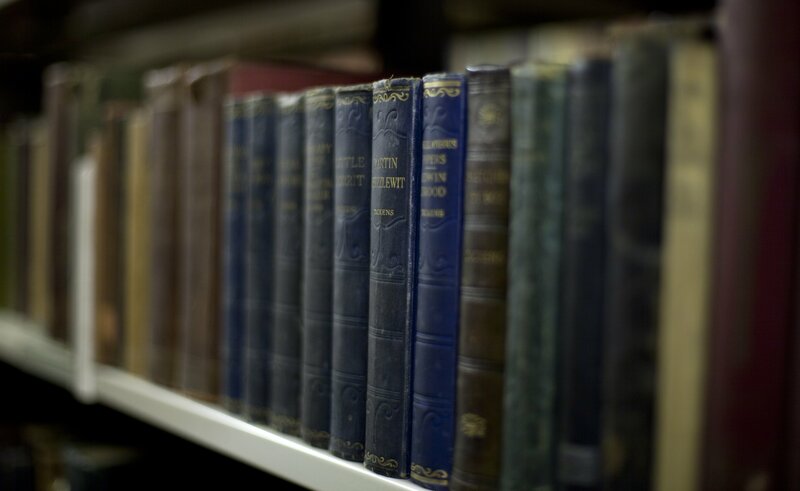 The Richard Burton Archives, Rare Book Collection and Store Books are all located at Singleton Park Library. Not all of our Collections are text-based; the political and cultural significance of visual arts can be seen in our collections of banners and posters. 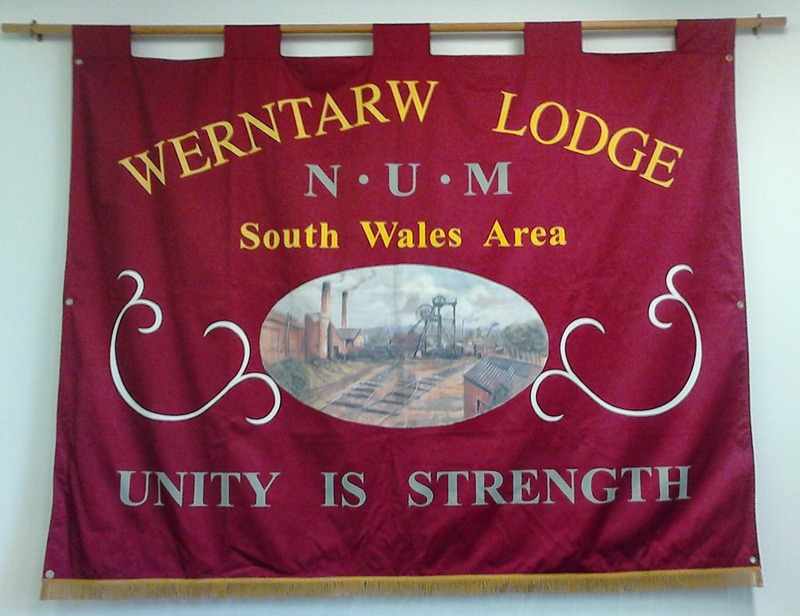 SWML currently holds thirty-nine banners in its collection, most of which came from National Union of Mineworkers (NUM) lodges in the South Wales Area. The banners serve as visual symbols of a cohesive class identity within industrial communities. They are regularly loaned out for events, presentations, demonstrations and productions. Our poster collection includes material from a range of diverse sources and organisations. Posters from the Spanish Civil War, the 1984-5 Miners' Strike, Miners' Institutions and recent political campaigns all provide ample evidence of the power of visual materials. The South Wales Miners Library (SWML) was established by UWS in 1973 to house material collected by the Coalfield History Project. The project attempted to locate, collect and preserve records relating to the social, political, educational and cultural aspects of mining communities throughout the South Wales Coalfield. The material collected is now known as the South Wales Coalfield Collection. It is split between two sites: the South Wales Miners' Library and the Richard Burton Archives. The SWCC Collection exists in many forms, including minute books, pamphlets, newspapers, photographs and interviews. The Miners’ Library began its Oral History Collection as a result of two Coalfield History Projects that ran from 1971-4 and 1979-82. The projects were tasked with collecting a broad range of sources that included oral testimony . Over 1175 hours of audio and video interviews were recorded as a result of these projects, which documented the lives of ordinary men and women. The interviews offer insights into the individuals struggles of these people, as well as affording glimpses into the larger social, cultural and political contexts in which they lived. Subsequent recordings have been added in the years since the original projects, adding to the breadth and scope of the collection. The interviews vary in length. Some last for several hours while others are around forty-minutes.Reflecting the bi-lingual nature of the coalfield, approximately 10% of the interviews were conducted in Welsh. Many prominent figures in the south Wales coal industry have been interviewed, such as Dai Francis, Emlyn Williams, Phil Weeks and Will Paynter. The Miners' Library houses a huge range of political pamphlets and documents, containing literature relating to trade unionism, the NHS, party politics, mining history and civil rights. As industry declined in South Wales and Miners Institutes closed, a number of smaller miners' libraries donated their collections to SWML. The books contained within these institute libraries offer an insight into the literature valued by working men and their communities. The Institute Collections also often reflect the communities that they served, regularly demonstrating the influence of particular religious or political ideologies within the area. South Wales Coalfield Collection Website, which outlines the variation of the collection. The South Wales Miners Library houses the collection of the acclaimed and prolific writer Gwyn Thomas, author of seminal Anglo-Welsh texts The Dark Philosophers and All Things Betray Thee. Thomas's personal collection provides a glimpse into his literary preoccupations, allowing for comparisons to be drawn with his own creative output. 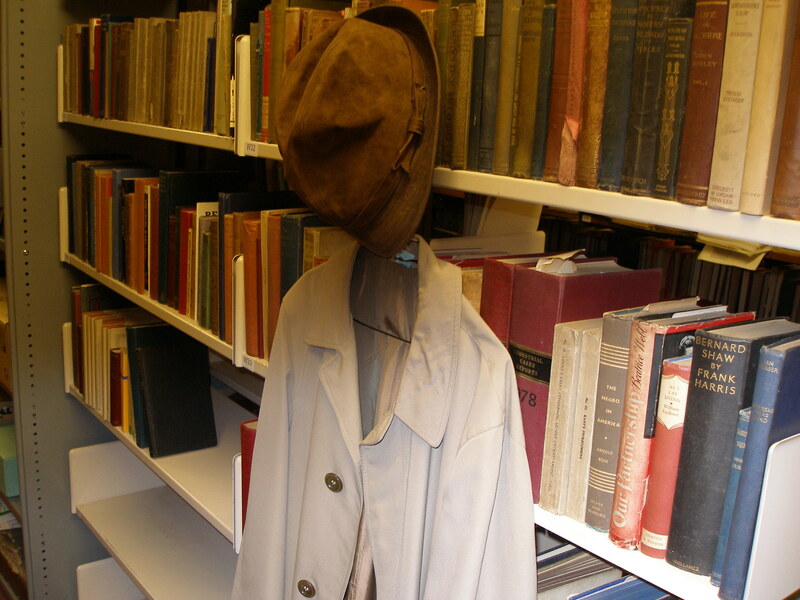 As well as a range of fascinating texts, we also hold his hat and coat! The connection between the events of the Spanish Civil War (1936-39) and industrial communities in South Wales remains relatively understated, despite the links forged between the two on the battlefields and at home. While many of the volunteer soldiers in the International Brigade were miners and Welsh nurses were among those for the injured, there were numerous attempts at fund-raising and political awareness within industrial communities themselves. At the Miners' Library, a wide-reaching collection across assorted materials (posters, interviews, pamphlets) highlights the political significance of the War for working-class communities in Britain.